You’ve heard of America’s Disney World? Well this is Vietnam’s own version of a Disney World epic adventure theme park, in the form of the Vinpearl land theme park. We arrived in Nha Trang and walked down to the beach at sundown. The first thing we seen was the illuminations of Vinpearl lighting up the sky like a Christmas tree, we was like Dammmm we need to go there! We are so glad we did as Vinpearl is the best thing to do in Nha Trang and we had 10 hours of non-stop fun. In this post I want to share the 17 AMAZING THINGS ABOUT THE VINPEARL LAND that I experienced. Are you travelling through Vietnam and heading to Tam Coc? 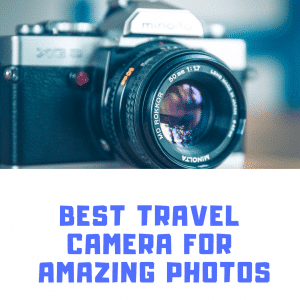 Check out my complete guide on the best things to do in Tam Coc. 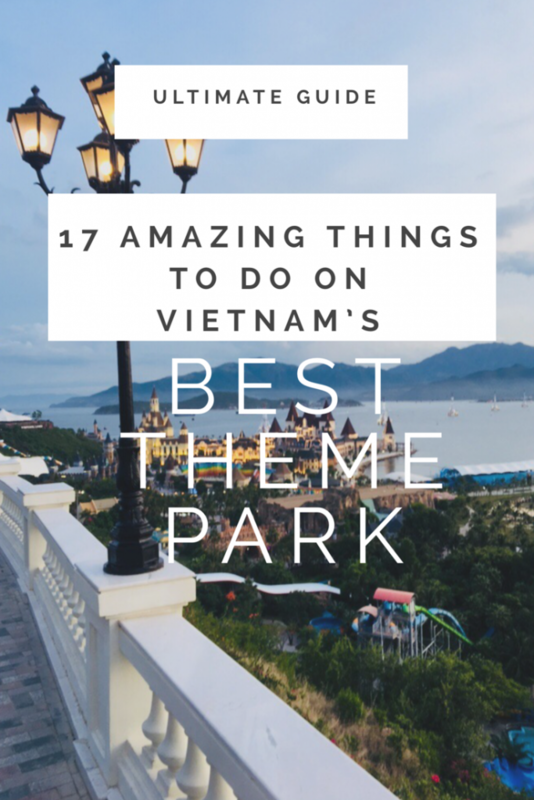 A complete guide to the vinpearl land themepark in Vietnam. 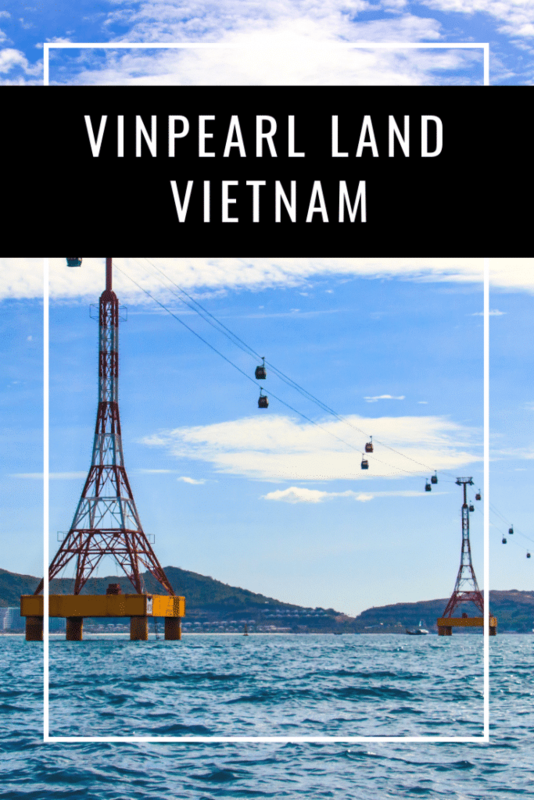 Also, how to use the vinpearl cable car and where to stay in Nha Trang. Vinpearl is situated on a small island off the coast of Nha Trang and is a super cool location, it makes it all that more fun due to its location. The cable car is one of the only two ways to the vinpearl theme park and is definitely the most fun of the two. the Vinpearl cable car does a ten minute circular trip that picks passengers up from Nah Trang and then drops them off at Vinpearl. Furthermore, the cable car will take you over the sea where you can enjoy some epic views. There is ships that pull up to the theme park and let tourists visit the the Vinpearl theme park for the day. You have a few options to get your tickets to the theme park. You should know that there is a lot of tourists that visit here. So, be ready for ques what ever option you choose. Buy Tickets Online: This is the best option. Because, you won’t have to que up to purchase a ticket. You can just head straight for the Vinpearl cable-car. Buy Tickets on the Door: Your other option is to purchase a tcket on the day. How much is a tick to the Vinpearl land themepark? The actual cost is VND 500,000 for adults and VND 400,000 for children above 1 and below 1.4 metres in heights and over 60 years old. The rides on Vinpearl park are a joy for all. There are rides for adults, children and full families. I’m not saying the rides are big rollercoaster rides like universal park in America, however there’re good enough to get your pulse racing! 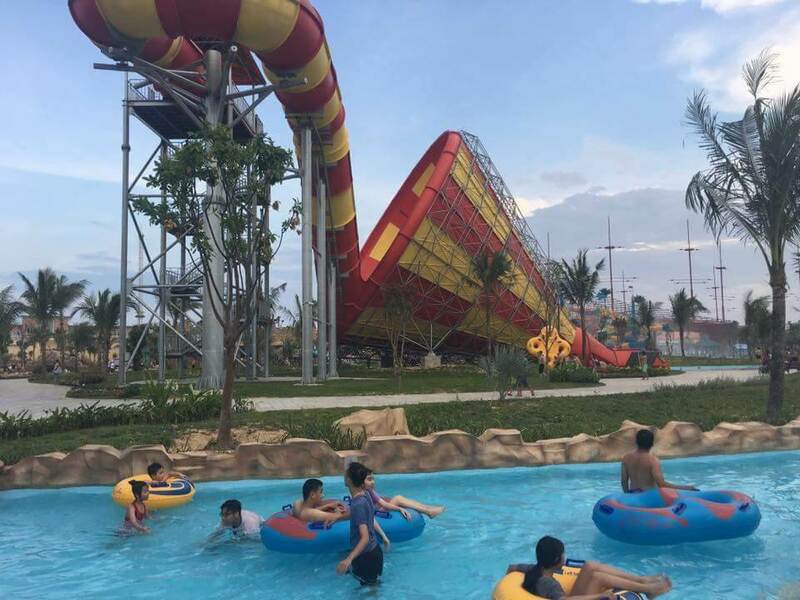 Yes that’s right, there is a water park too on the same theme park and it’s an adrenaline fun filled part of the Vinpearl amusement park. However, don’t expect a large swimming pool, but there is a cool family pool for you to enjoy a dip. Lazy rivers are the coolest chill-out spots on water parks. A lazy river is exactly how it sounds, it’s a river that takes you on a slow journey around the park while you relax in your rubber ring and catch the sun. 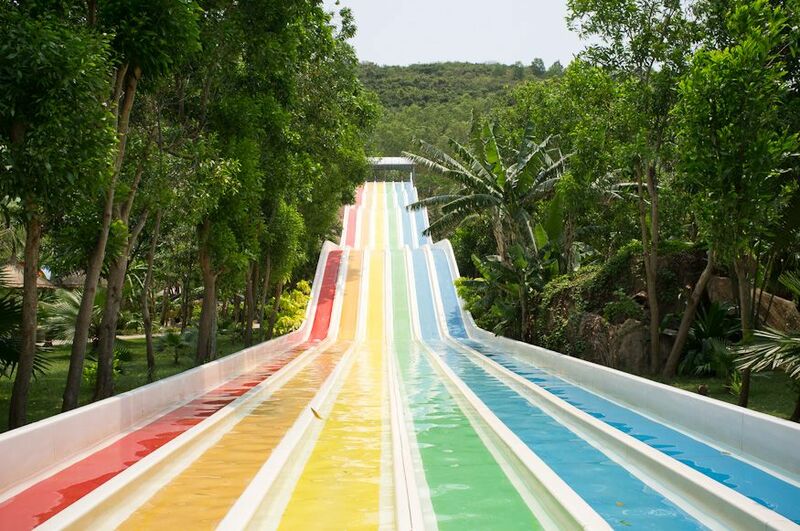 Enjoy adrenaline filled fast dropping twisting slides? They have them here, we spent a sweet few hours running up many sets of stairs to enjoy a few seconds of pulse raising speed on the slides. Furthermore, there is all different types of slides such as; fast straight down, slow windy, family dingy and toboggan racing. As well as the rides and water park, there is also a zoo containing some amazing animals and birds. The zoo is the highest point of the theme park on the islands and you can see some smashing views on your way up. The zoo isn’t the size of an African safari but there is plenty to see and it’s big enough to enjoy a good old stroll around. These was absolutely amazing! 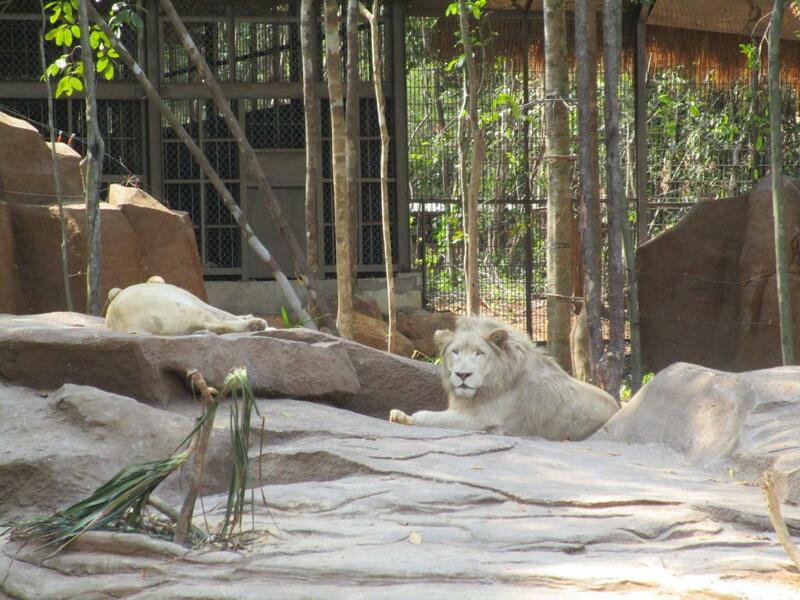 We hadn’t seen white lions and lionesses before, but we was lucky enough to see one of each here at the Vinpearl Zoo. They’re pure white coloured with piercing eyes and you have to see them to appreciate their presence. 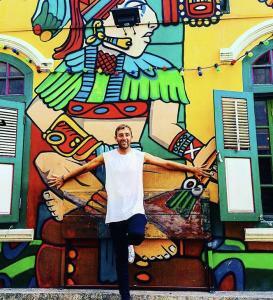 Don’t get too close though….. There is an enclosure that had around 10 of these 7 foot tall birds and you can get very close to them, so watch your fingers and don’t expect to stroke them. If you’re like me and find certain animals funny, then you will enjoy staring at these birds. The ostriches had me in stitches. They follow you along there enclosure and stand there starting at you with there mouth half open as if they’re going to say something. The is a range of places to eat including a fancy Chinese restaurant and plenty of fast food stands. We ate a few different ones and they all serve tasty food. However, we found out the fast food restaurants are more expensive than the sit in restaurants (strange). You can expect to pay 120,000 Vietnamese Dong for a fast food meal. I love an ice-cold-fresh smoothie and the juice bar on Vinpearl serves the very best of them. There’s banana, strawberry, mango, avocado and much more. Also, you can buy cups of fruit from the stands which are just as tasty. All of these come at a very fair price from what you would usually expect to pay on a theme park. The juice bar also sells every type of coffee you can think of, including tasty Frappuccinos. The beach is a brilliant spot just for relaxing for a quick interval hour after running crazy around the Vinpearl amusement park. The beach is accessible from the Vinpearl water park and has plenty of shaded beds to chill out on. However, the sun loungers fill up pretty quick and you can see people running around like headless chickens trying to find one as the day goes on. We definitely had the most fun of the day on here. The watercourse is situated on the beach and easily accessible and will give you an hour of epic fun. Furthermore, you start by being given a life jacket and then your free to run riot of the slippy range of obstacles on the sea. There are different types of obstacles such as monkey bars, slides and much more. You will definitely fall in the sea and we joked about if someone fell in “Shark Shark” it made it that bit more fun. Also, the Vinpearl water obstacle course is completely free once your in the park. An absolute god send the Vinpearl escalators on a hot day. 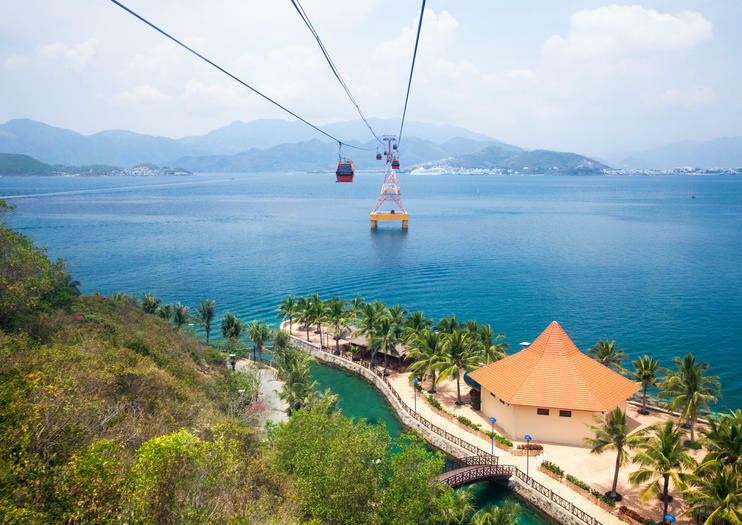 The Vinpearl amusement zoo is high up the mountain and the water park is located right at the bottom next to the beach, therefore making your way in between the two would be a workout in itself for the fittest of people. However, Vinpearl luckily enough have provided escalators to take you up and down without you having to break a sweat. Save this one for when the sun is going down! like the heading says it’s a BIG wheel and it gives you the best views over Vinpearl land, you can see for miles. Like I said save it for sundown, you can see the sun lighting the sky red all over Nha Trang. The wheel has plenty of carriages and you will be able to enjoy around 15 minutes of air time to take in the amazing views. Fun Fact: The Vinpearl sky wheel is one of the largest in the world with a whopping height of 120 metres. The sunset over Nha Trang can be seen from most places on the Vinpearl park and you will be in for a treat. However, if it’s cloudy you may have to just settle for an average night sky. Nevertheless, if the sun is shining then you can expect fire in the sky. All day we was amazed by the views that can be seen across from afar, having these kind of views puts you in a good mood and makes the day even more epic than it already is. You can see mountains, beaches, blue skies, the city and more. Enjoy the Christmas glow from angel lights at Christmas time? Then you will appreciate the effort Vinpearl land have gone into making this park a magical scene at night. The buildings are spectacularly lit up and are in comparison to a Disney theme park’s illuminations. Yes that’s right small waiting lines! One of my pet hates is waiting in lines, especially when the sun is 1 million degrees. However, due to how big Vinpearl land is and the variety of things to do, there isn’t really any waiting lines for anything. The longest line we experienced was a 5 minute wait for a water slide. 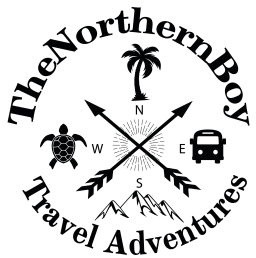 Where to stay in Nha Trang? Novotel Nha Trang – This place to stay in Nha Trang is located in a perfect spot to visit all the top tourist activites in Nha Trang. It also has good customer service, clean rooms and a sweet restaurant. Vinpearl Condotel Empire Nha Trang – This is one of the best hotels in Nha Trang to stay in. This is perfect for a family visit to Nha Trang. It offers things for the kids, amazing food service, very clean rooms and epic customer service. This is more of a luxury hotel, therefore if you’re on a backpacking budget, I wouldn’t stay here.